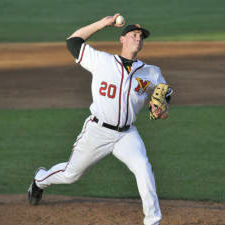 Former VMI pitcher Adam Lopez has signed a free agent contract with the San Diego Padres organization. Lopez joins his third affiliated organization, following time in both the White Sox and Mariners’ systems. He comes off a season in which he was named the Frontier League Pitcher of the Year, following a 10-0, 1.86 ERA campaign for the Southern Illinois Miners. Lopez also struck out 103 in 96 2/3 innings.